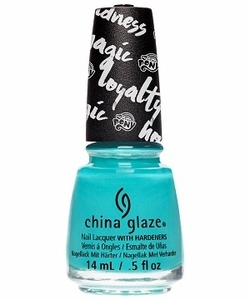 China Glaze Nail Polish, One Polished Pony, 1529, .50 fl. oz. Bright turquoise creme nail color with subtle silvery aqua shimmer. China Glaze My Little Pony Collection, Summer 2017.